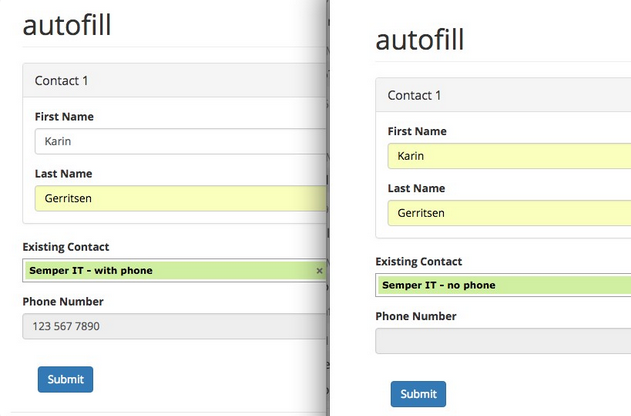 We're struggling with a complex Webform that is auto-populating the wrong values into some text fields in Edge browser. 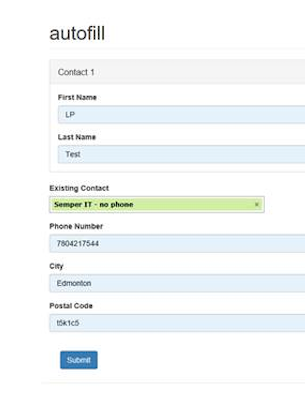 The text fields are pulling data (phone number, email, address) from an existing Company Contact - and if those values are NULL in CiviCRM - Microsoft Edge happily populates these fields with previously seen but completely irrelevant and incorrect phone number, email and address. We've since reproduced this on a number of sample forms. And here's what Microsoft Edge does with this exact same form (apparently I live in Edmonton now). The blue fields are the auto-fills from Microsoft Edge. Thank you Laura for the screenshot! From a developer: WHAT !!! ??? That’s why we are receiving so many UI complaints recently. This is a terrible decision Microsoft. Please STOP breaking Edge by NOT supporting standard HTML correctly. Edge should honor the autocomplete="off" tag. And from another one: “By Design” doesn’t mean that the functionality is correct. I’m struggling with a complex web form that is auto-populating the wrong values into some text fields in Edge browser"